President Donald Trump on Tuesday blasted George Conway, the husband of top White House adviser Kellyanne Conway, as "a total loser" following the conservative attorney's tweets suggesting that the president is not mentally fit to serve. "He barely worked @TheJusticeDept and was either fired/quit, didn't want the scrutiny?" Parscale continued. "Now he hurts his wife because he is jealous of her success. POTUS doesn't even know him!" The Washington Post reported last year that in fact, George Conway introduced his wife to Trump back in the early 2000s. Kellyanne Conway, after serving as Trump's campaign manager in 2016, was named counselor to the president later that year. 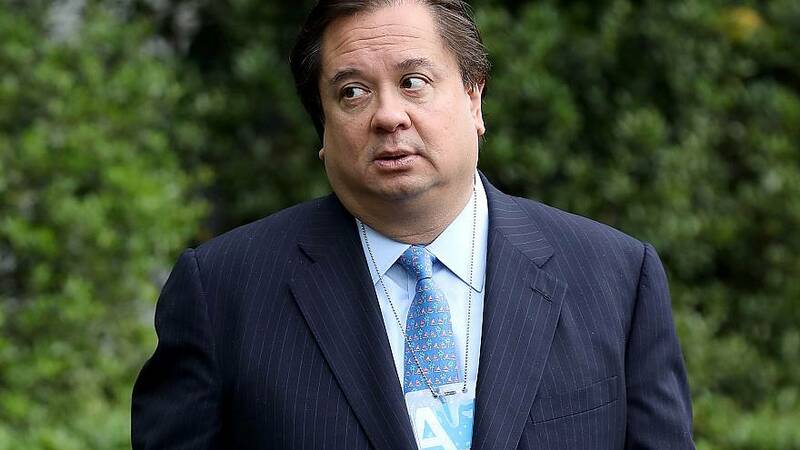 George Conway was also reportedly under consideration for a job within Trump's Department of Justice but said in a June 2017 statement that he was withdrawing himself from consideration. He's of counsel in the litigation department of the New York firm Wachtell, Lipton, Rosen & Katz. "Okay, so they lie," George tweeted Tuesday following Trump's barb. "We knew that already. Yawn." Over the past few days, George, already prominent critic of Trump's actions and policies, questioned the president's mental health. On Sunday night, Conway tweeted: "His condition is getting worse." "Congratulations!" George said Tuesday in response to Trump's tweet. "You just guaranteed that millions of more people are going to learn about narcissistic personality disorder and malignant narcissism! Great job!" On Monday, George highlighted pages from the American Psychiatric Association's "Diagnostic and Statistical Manual of Mental Disorders" that included the criteria for "narcissistic personality disorder" and "antisocial personality disorder." George also said Monday that "*all* Americans should be thinking seriously *now* about Trump's mental condition and psychological state, including and especially the media, Congress — and the Vice President and Cabinet." Asked Monday about her husband's criticisms and concerns about the president, Kellyanne told reporters she did not share them. Speaking to The Post last year, Kellyanne said her husband's anti-Trump tweets "disrespects his wife."